Soak up the rays and enjoy the South Florida weather on a hired convertible from Royal Rent A Car and attend the Swim Miami 2019 open-water swimming event on May 5, 2019, located at Miami Marine Stadium at 3501 Rickenbacker Causeway. This event is an effort to grow open water swimming and to bring awareness about drowning prevention and education. 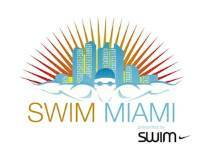 For more information visit www.swimmiami.net.